Lisa Crook was lucky. She saved $ 800 last year after her insurance company started covering a new, less expensive insulin called Basaglar that was virtually identical to the brand she had used for years. Such agreements “make it difficult for generics to compete or know what they’re competing against,” said Stacie Dusetzina, an associate professor of health policy at Vanderbilt University School of Medicine. Here’s how it works: Makers of established brands give volume-based rebates to insurers or intermediaries called pharmacy benefit managers. In return, those middlemen often leave competing generics off the menu of drugs they cover, called a formulary, or they jack up the price for patients. The result is that many can’t get the cheaper drugs unless they shoulder a bigger copay or buy them with no help from insurance. This so-called rebate trap joins a long history of efforts by makers of brand-name drugs to stifle generics, including protecting drugs with multiple layers of dubious patents, “pay for delay” deals to keep generics off the market and withholding key ingredients needed for generic production, critics say. Sanofi works with insurers and pharmacy benefit managers “to negotiate access for patients to our portfolio of products including Lantus,” said company spokesman Jon Florio, declining to disclose specifics. “After evaluating the total cost impact on consumers, taxpayers and the government, we chose to cover the brand drug, Lantus, over the biosimilar, Basaglar,” said Anthem spokeswoman Lori McLaughlin. Replacement versions of complex drugs often made from living cells are called biosimilars, not generics. Basaglar is considered clinically equivalent to Lantus but, because of a legal wrinkle, won’t technically be considered a biosimilar by regulators until 2020. Merck scrapped its own biosimilar version of Lantus last fall, despite receiving tentative approval by the Food and Drug Administration, after “assessing … the market environment,” the company said. Coverage of Lilly’s Basaglar has grown, and the drug is now included in formularies used by slightly more than half the patients who have health insurance, said Eli Lilly spokesman Greg Kueterman. In another forthcoming study, this one examining 2018 Medicare coverage, researchers at Johns Hopkins Bloomberg School of Public Health found that “almost every plan has at least one branded drug on the formulary that’s in a better place than the generic,” said Gerard Anderson, the professor leading the research. (A grant from the Laura and John Arnold Foundation, which helps support Kaiser Health News, financed the Hopkins research). The Association for Accessible Medicines, the generic drug lobby, paid for that study. Rebate-influenced barriers to generics are “increasingly problematic,” said AAM CEO Chip Davis. Disputes over formulary choices have hit the courts. Pfizer sued Johnson & Johnson in 2017, alleging that rebates induced insurers to prefer Remicade, an anti-inflammatory biologic, at the expense of Pfizer’s lower-priced product. 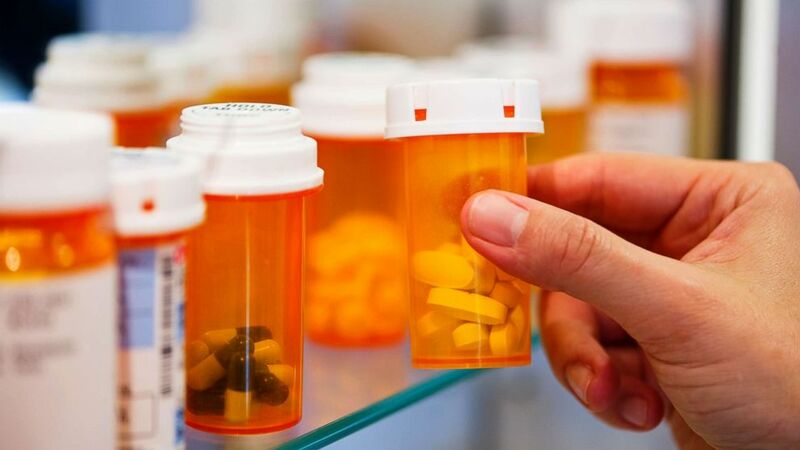 Because quick rebates from brands are often more attractive to PBMs and insurers than long-term savings from generics, “this is a real challenge in terms of biosimilars coming to market and gaining market share” Scott Gottlieb, head of the FDA, said in an interview. Crook’s out-of-pocket costs for Lantus rose steadily over the years to about $ 900 annually, she said. After switching to Basaglar last year, her cost was less than $ 100. Because of rebates paid to PBMs, Sanofi’s net price for Lantus has actually decreased over the past five years despite the list-price increases, said company spokesman Florio. “Unfortunately, these savings are not consistently passed through to patients,” he said. PBMs say they respond to the terms drug companies offer and negotiate to save billions for government, insurers and employers. “Simply put, the easiest way to lower costs would be for drug companies to lower their prices,” the Pharmaceutical Care Management Association, the PBM lobby, said in an emailed statement. Last summer, the Department of Health and Human Services proposed changing “safe harbor” protections that shield pharma rebates from being viewed as illegal kickbacks. But the proposal, under review at the Office of Management and Budget since July, has never been publicly aired, leaving the industry to wonder how substantial it is and if it will ever take effect.